KLINGSPOR Abrasives is a manufacturer of the highest quality industrial sanding and grinding products. Our history is a long one which dates back over 100 years. KLINGSPOR originated in Germany where it is today still one of the world’s largest and most respected abrasive manufacturers making some of the highest quality products for industrial applications. KLINGSPOR Abrasives was the first company to develop premium high speed cut off wheels and grinding discs. Since then, we have further improved bonded abrasives and continue to manufacture the highest quality wheels available. 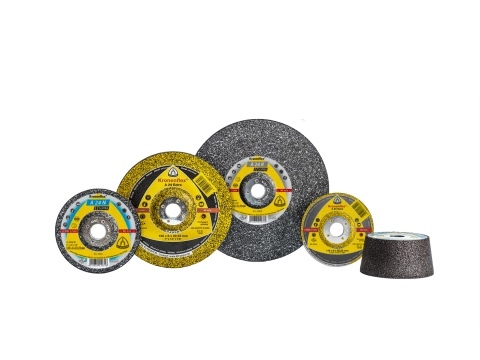 The Yellow-Extra high performance wheels will handle virtually any grinding or cutting job. 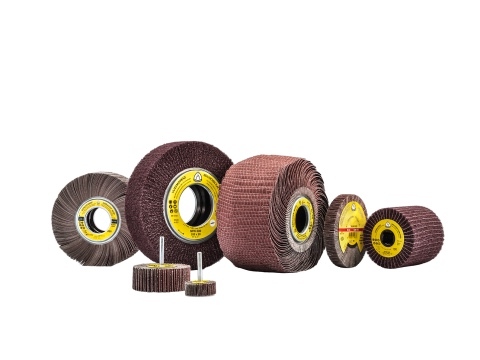 Grinding welds, finishing surfaces, and cutting out auto body panels are perfect applications for these premium grinding discs and cut-off wheels. 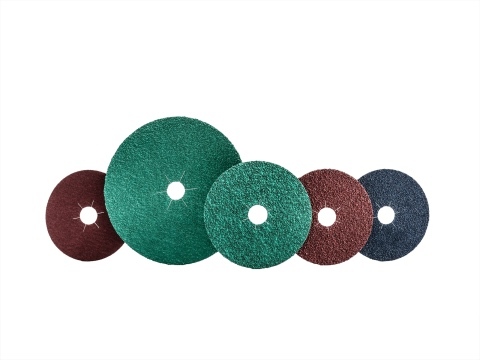 Weld grinding and blending, general metal clean-up, and rust and paint removal are easy tasks for KLINGSPOR Fibre Discs. With several varieties available, you can choose the right disc to suit your needs. 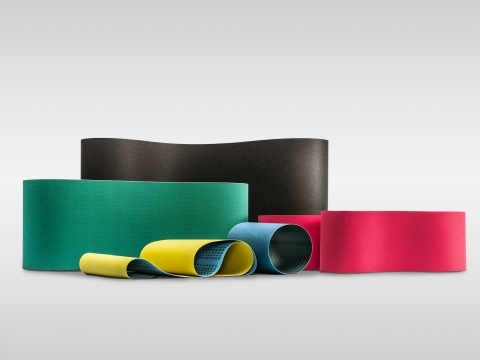 With Paper Belts from KLINGSPOR a variety of applications can be accomplished from stroke sanding to wide belt dimensioning and finishing. Count on these products to take your workpiece to its best possible state. Custom sizes are available. Call today for the precise size you need. Flap wheels are one of the most underestimated and underutilized abrasive finishing tools. With different variations of KLINGSPOR flapwheels, sanding and finishing of shaped parts, convex or concave, moldings, etc can be accomplished.Whether working on metal, wood, plastics, or a variety of other substances, you’ll achieve maximum results.